Communities in Western Nunavut say the changes are needed because polar bears are becoming more numerous — and attacks more frequent. 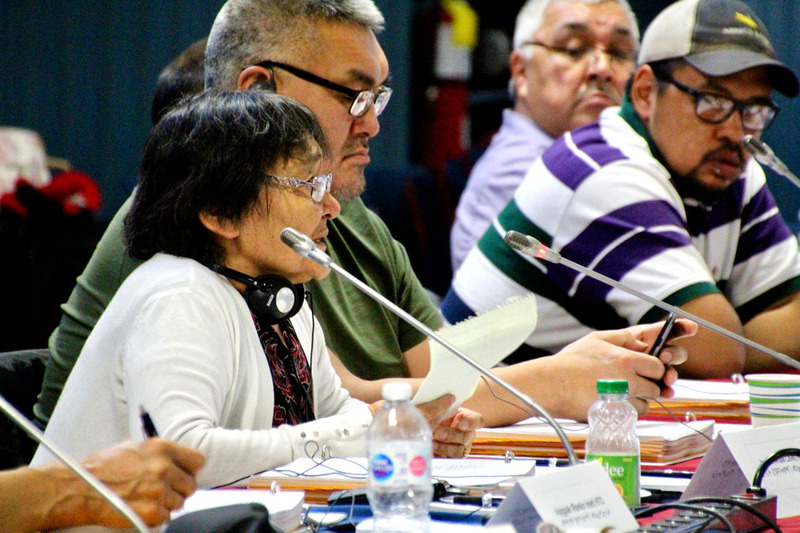 The Government of Nunavut’s draft proposal for managing polar bear harvesting might not be popular outside the territory, but it reflects the experience of Inuit, delegates heard at a public hearing of the Nunavut Wildlife Management Board on Tuesday, Nov. 13, in Iqaluit. “We are angry,” Naujaat resident Elizabeth Aglukka said at the hearing. 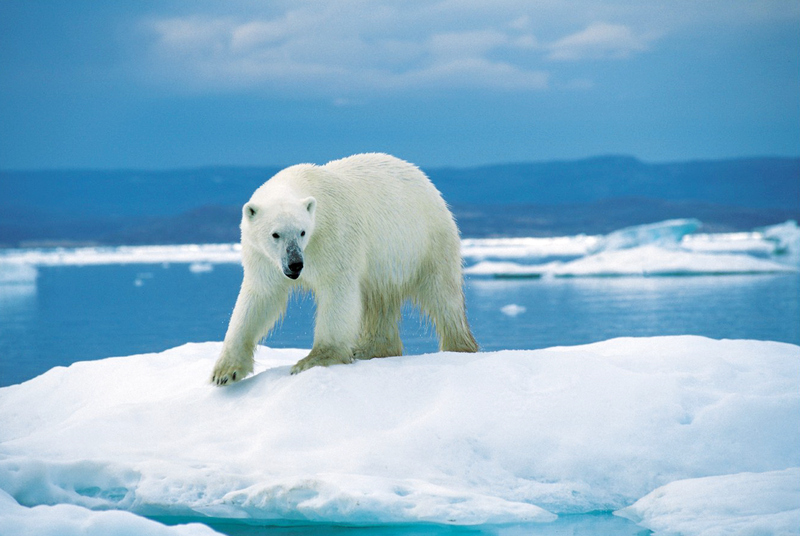 A polar bear attacked three hunters near Naujaat last August, killing one of them. That man was the only hunter in his family, and hunting is an Inuit right and a primary food source, Aglukka said. That was one of two polar bear–related deaths in Nunavut’s Kivalliq region last summer. The other polar bear attack victim was a man from Arviat. Because of the increased fear of such polar bear attacks, Kivalliq residents have demanded increases in polar bear quotas and the removal of a rule under which local defense kills are deducted from a community’s quotas. Last fall, Stanley Adjuk, president of the Kivalliq Wildlife Board, predicted Nunavut would see someone killed by a polar bear if hunting quotas are not increased. Shortly after, the Department of Environment did raise the total allowable harvest for the western Hudson Bay sub-population, which covers part of the Kivalliq region. But Kivalliq hunters still want more from the Nunavut government. “Communities in the Kivalliq, particularly Arviat, Chesterfield Inlet, Coral Harbour, Naujaat, and Whale Cove, are experiencing more and more encounters with polar bears, which pose a significant threat to life and property,” the Kivalliq Wildlife Board said in a written submission dated Oct. 12 this year. The Kivalliq board said it wants specific details and more funding for bear deterrence programs in communities. Six years in the making, the GN’s draft plan cites Inuit experience and testimony to repeat a message made by many Nunavut residents. And that message is that in some regions, there are too many polar bears. “There are definitely more polar bears wandering around Arviat and Rankin Inlet, Whale Cove and Naujaat. We know that,” said Chris Hotson, a Yellowknife-based consultant who led community consultations for the government’s plan. “Inuit are saying that the environment would be healthier if there were fewer bears,” said Hotson, who, before his consulting career, worked for the Government of Nunavut’s wildlife unit in Igloolik between 2006 and 2011. During community visits in 2014, Hotson heard from many Nunavummiut who said they don’t want a purely science-based plan that doesn’t align with the grassroots experience of Inuit. That proposed management plan, which would guide bear management in Nunavut until 2026, is at the center of a four-day Nunavut Wildlife Management Board hearing in Iqaluit this week. The wildlife management board can approve the plan, reject it, or make amendments before sending a recommendation to Nunavut’s environment minister. The wildlife management board’s recommendations, under the Nunavut Agreement, must always be kept secret. But the relevant minister’s decision may be made public. While the Government of Nunavut is boasting that its new plan champions Inuit knowledge and experience, a lawyer for the wildlife management board said the government’s document doesn’t contain enough detail. “I don’t think the details are there,” said the wildlife management board’s lawyer, Michael d’Eca. Earlier versions of the draft plan contained more distinct action points, Hotson said, but those were removed for fear that the government couldn’t live up to certain commitments. “There was considerable hesitation on the part of the GN to have these kinds of commitments in there,” due to unknown future budgeting constraints on the Department of Environment, said Hotson. The new plan doesn’t increase quotas right now, but it says new total allowable harvests will be considered as new data comes in for each of the 12 polar bear subspecies in Nunavut. “No changes to existing [total allowable harvest] will occur until new information becomes available,” the report says. Some data included in the report for certain sub-populations is as much as 20 years old, though Hotson used recent research on bear populations in Baffin Bay as an example of what Nunavut’s government would like to see for other sub-populations. The draft plan also proposes that the system become “less punitive” on defense kills, or kills to protect property. The plan also talks about the impacts that adventure tourism inflicts on polar bears, as Inuit believe that polar bears are more likely to damage property when they get more used to seeing people. The Kivalliq Wildlife Board, the Kivalliq Hunters and Trappers Organizations and the Kivalliq Inuit Association were to have made submissions about the plan this week.